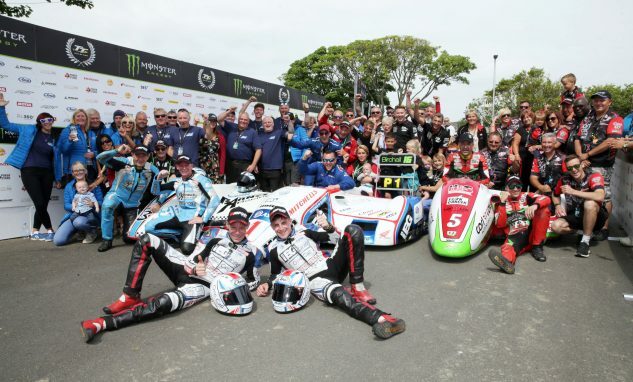 The Birchall Brothers, Ben and Tom remain unstoppable, winning their second Sidecar TT of the week while breaking their own lap and race records in the process. 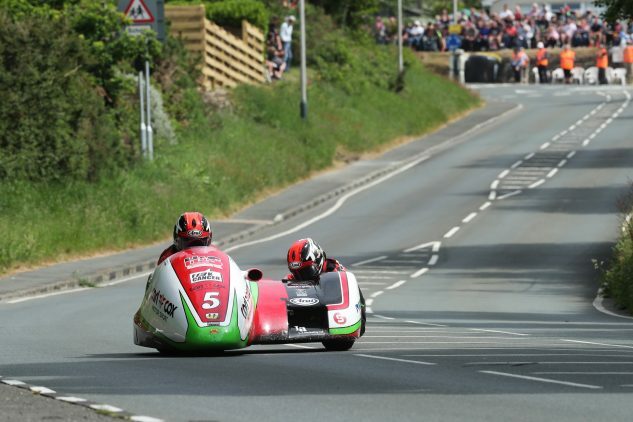 The brothers from Nottinghamshire have won five Sidecar TT races in a row and eight in total. 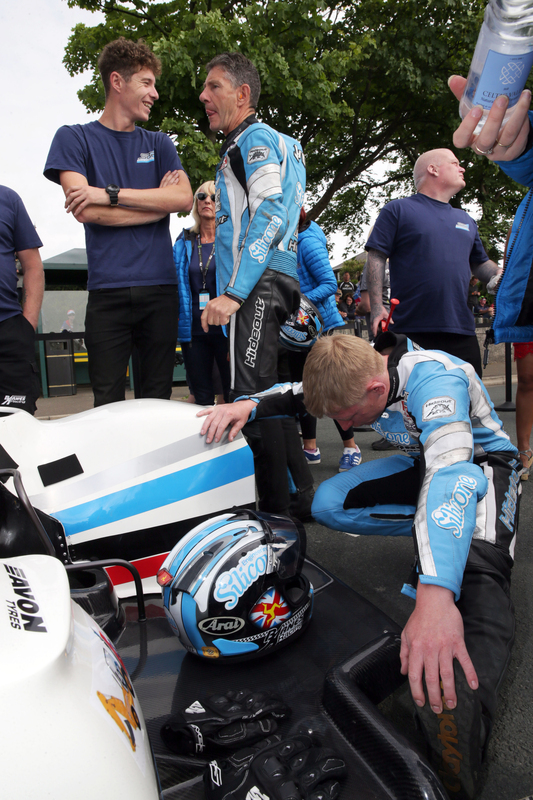 The brothers took over the lead at the end of Lap 1, running just under two seconds faster than the early leaders John Holden and Lee Cain. 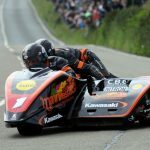 That lead stretched to 22.9 seconds after the second lap thanks to a new blistering 119.250 mph lap which broke their own record of 118.694 mph set in Saturday’s first Sidecar TT race. 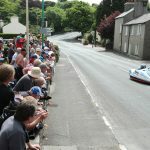 Holden and Cain came in second while Tim Reeves and Mark Wilkes finished third, repeating the podium from the first Sidecar TT. Locate.im Sidecar TT Race 2 top three teams. 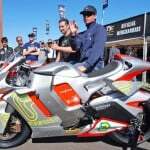 Photo Stephen Davison / Pacemaker Press Intl. 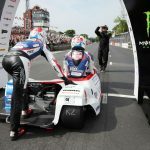 Also notable were the team of Estelle Leblond and Melanie Farnier who became the first female team to lap faster than 110 mph in the Sidecar TT. 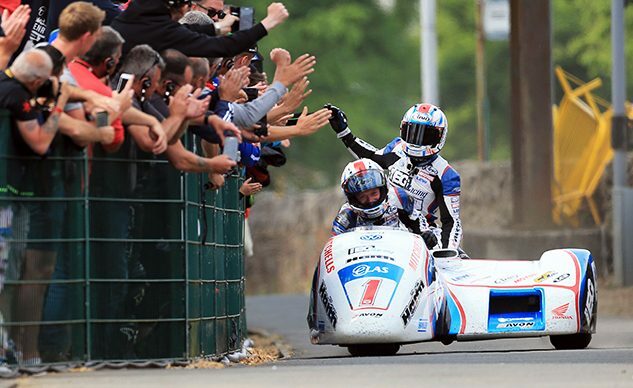 They finished ninth overall, averaging 110.229 mph over the three-lap race. 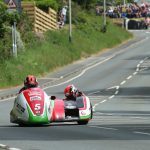 Ben and Tom Birchall Locate.im Sidecar TT Race 2. Photo by Stephen Davison / Pacemaker Press Intl. John Holden/Lee Cain (LCR Honda/Silicone Engineering/Barnes Racing) at Union Mills during Friday’s LOCATE.IM Sidecar TT race. 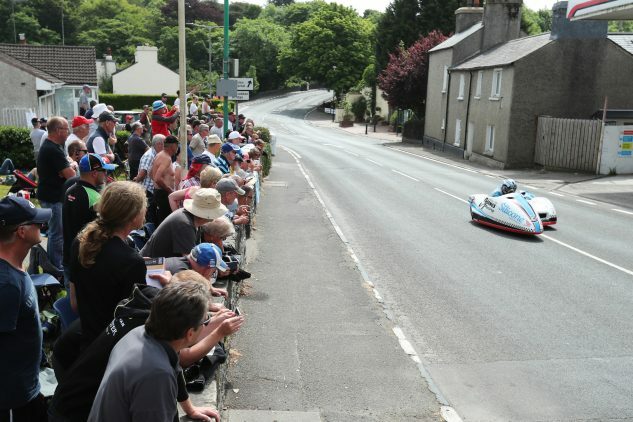 Photo by Dave Kneen/Pacemaker Press Intl. 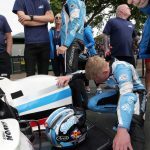 Fourth to sixth stayed the same as Leblond/Farnier put in another 110mph+ lap and Jackson/Payne improved to 109.198mph but there was no let up from the Birchalls and they duly took their fifth TT win in a row – and eighth in total – by 22.92s with a third lap of 118.427/19:06.935 to clinch victory and breaking their own race record from Saturday’s race in the process with a time of 118.281/ 57.25:040. 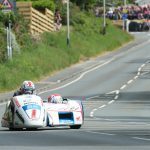 Tim Reeves/Mark Wilkes (LCR Honda/Carl Cox Motorsport powered by H&S Contractors) at Bedstead during Friday’s LOCATE.IM Sidecar TT race. 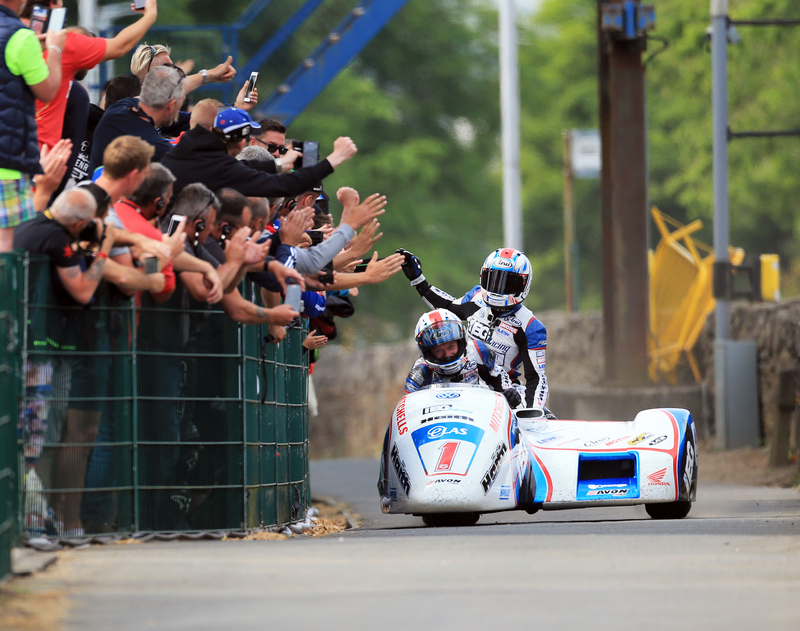 Photo by Dave Kneen/Pacemaker Press Intl. 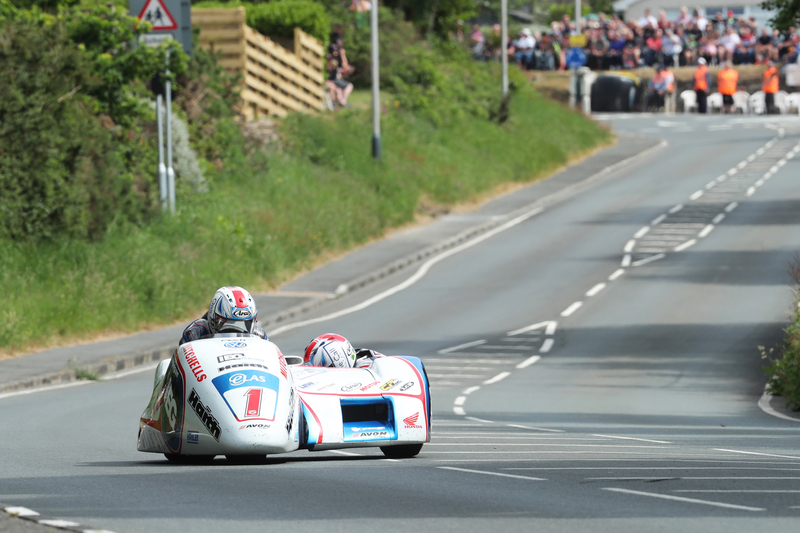 John Holden and Lee Cain Locate.im Sidecar TT Race 2. 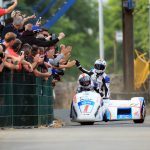 Photo by Stephen Davison / Pacemaker Press Intl. Ben Birchall/Tom Birchall (LCR Honda/IEG Racing) at Bedstead during Friday’s LOCATE.IM Sidecar TT race. 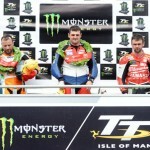 Photo by Dave Kneen/Pacemaker Press Intl. 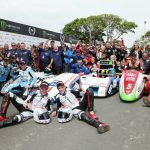 Ben and Tom Birchall have been unbeatable in the Sidecar TT. 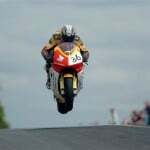 Photo by Stephen Davison/Pacemaker Press Intl.